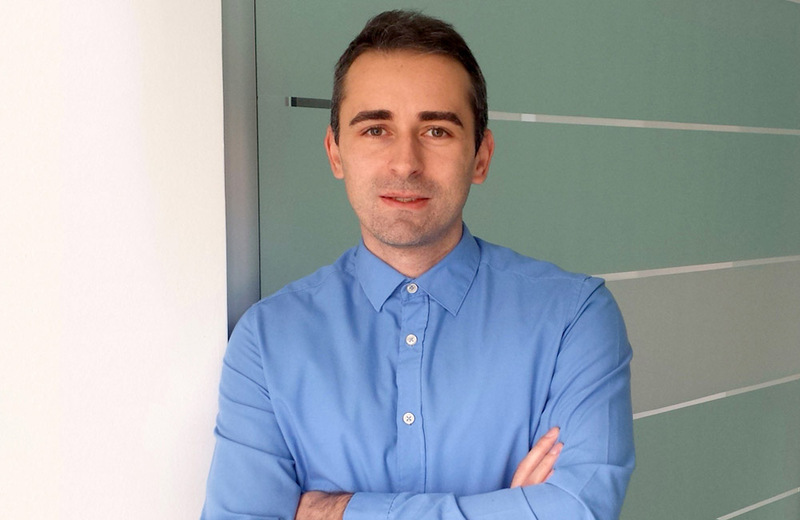 Today at Marketing365 we are talking to Mr. Petar Georgievski, Head of the Marketing Research Department at Market Vision. Peter has been part of the company since 2009. Аbout his work he says that the gathering of information, their analysis and decision making is what everybody does on a daily level, consciously or unconsciously. Some individuals are good at decision making, while some are bad and this is not accidental. The same goes for business, only the environment is much more complex. M365: You have had the opportunity to work with many Macedonian and international clients, how much are they willing to invest in market research? Yes, we have collaborated with many clients, and they have been primarily larger companies. To the middle and small enterprises Market research is somehow out of sight. Regarding their willingness to invest in research, my impression is that domestic companies insufficiently explore, that is, not only do they invest insufficiently in research, but also do not process and analyze enough the information that is available to them free of charge through the Internet, from their accounting, from sales channels, etc. There are large retail chains, banks, dairies, food producers and other companies that make millions in profit but do not allocate even 5.000 EUR a year for research. The mentality is such that research is seen as an expense rather than as an investment. I cannot give an adequate answer concerning the foreign companies, as the sample upon which I base my opinion is also inadequate. Mostly we have had experience with larger companies, where decisions were usually made based on research and therefrom research was a regular item in their annual budgets. M365: How can well-conducted research contribute to more efficient marketing activities? M365: Is there a project you are particularly proud of? To us, the cooperation with the international clients, especially the large corporations and organizations represents a special recognition for our work. We also give a lot of attention to the development of our partnership with research agencies from the region and beyond. The large companies are seriously “combing through” bids and agencies, before deciding who they are going to cooperate with. To cooperate with them is not accidental and it is a kind of recognition for all our efforts. The experience gained through cooperation with the large corporations and foreign research agencies for me personally and for the company is priceless. М365: Where do you see your advantages over big international chains? Our expertise and solutions are local. This is extremely important for Macedonian companies as the international chains offer research tools that are tested and proven for markets such as USA, Germany, France and similar. Markets and consumers in these countries differ from the ones in Macedonia. We do not have ready-made solutions for companies’ problems, as each company is unique. We approach every project starting from its grounds and building upon them step by step. This drives us to research, learn and advance more. At the moment, Market Vision is the only corporate member of ESOMAR in Macedonia. The members of this professional association everywhere in the world are valued more. ESOMAR imposes certain professional standards with which we do not make any compromises. Also, we do not make any compromises on quality, at no cost. The customer must obtain the highest quality product. We have a well-trained team that has been working together for eight years. Thus everything we do, we do faster and more organized, with minimal loss of time and resources. M365: Could we say that market research can cost a company a whole fortune? If by fortune you mean saving 4-5 thousand euro, due to which 1 million will be let away from us, then the answer is yes! Personally, I think that Research in Macedonia is underpraised. In the business world, research is not a luxury, learning from your own mistakes is. М365: You have recently launched the “Questionnaire” platform, tell us more about this? Prasalnik.mk is a platform for online research aiming to offer companies quality research projects at a lower price and within a shorter time period. The modern technology with its advantages has imposed itself in this situation quite naturally. The platform is already in operation and through it, we have already successfully implemented our first several projects. Personally, I expect it to be interesting for the medium and small-sized companies, but I would not exclude, at any circumstances the big players as well. Regarding Prasalnik.mk, I would only disclose the development of a new product and I hope that we can offer it to the companies very soon. M365: Does this mean that you will focus more on small and medium-sized companies? To us, each client is important, and we “fight” for each of them equally, regardless of their size. With Prasalnik.mk we can make Research more accessible to the companies with limited budgets and we are sincerely hoping that it will encourage more and more companies to consider investing in market research rather than being led by intuition. М365: How do you see the market of research agencies in the Republic of Macedonia? At first, it looks like the competition is high, but the market is quite segmented. Similar to the medical specialists; they represent a great number, while divided by their specialty they can be counted on fingers. Among the established “players” it is already known “who’s who” and in which market segment. Of course, there are segments in which we still compete strongly, which is good for the profession in general. What is negative and worrying is that some agencies that are not specialized in market research, somehow find a motive to try their luck at all costs. In the long run, this will damage the reputation of the agency, of the client, and of the research profession in general. Unfortunately, I’ve had the opportunity to see several reports that did not satisfy minimum professional standards and, worse, which led the companies in the wrong direction. For example, I had the opportunity to see a research report for a big bread company made online based on the FB friends of the researcher, that alone can not be considered as a serious approach. From one institution I have obtained the information that a company delivered a report in which the sample that should have been a representative on the level of Macedonia, had a gender structure of 80% men and 20% women?! I have also reviewed a survey for an insurance company, conducted online, it was intended to give a picture of the life insurance market, but it was carried out in a totally amateur way on a non-representative sample of only 130 respondents on Facebook. Together with the same company, in order to get a precise picture of the market and the drivers that motivate buyers of life-insurance, we’ve conducted three-phase research involving 1,500 respondents. In the end, the results between the two surveys were diametrically opposed. I would say to the firms to be careful when choosing a research agency as bad guidance leads to bad business decisions and at the end, it will eventually all fall on their own backs. Same as when choosing a doctor, he/she is not selected because it is cheaper, also a research agency is not selected because of its low cost. This entry was posted in Market Research, News. Bookmark the permalink.